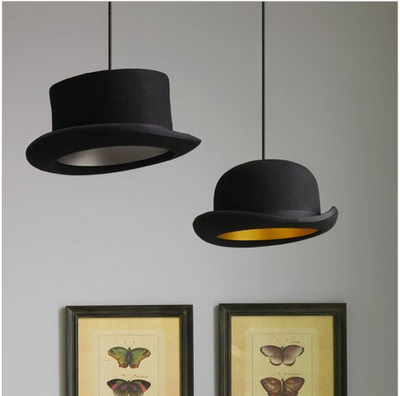 Jeeves and Wooster 's Pendant Lights. I love, collect and cherish Vintage Hats, and Jeeves and Wooster are my feel-good telly show, so you can easily imagine why and how much I fell for these! Clich here to learn more about them.